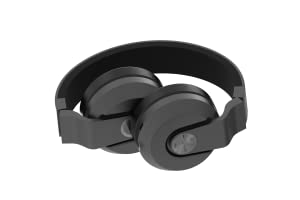 Bluetooth CSR 4.0 Stereo Headphones- Advanced CSR version 4.0 8635 Bluetooth Chipset Latest technology. Precise guitars. Clear vocals. Clean bass and crisp percussion. Discover sound quality that brings out the best in your music—including subtle details you may never have noticed. Music is deep, powerful and balanced so every note sounds clearer. 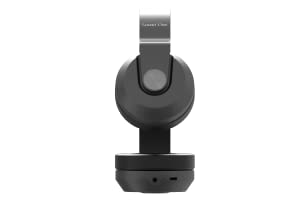 Experience meticulous wireless sound quality without signal loss up to 18 hours per charge so you can listen longer. Standby time up to 180 hrs & Playing time up to 18 hours making every moment your own. Get lost in rich, lifelike music from your computer and mobile device with Advanced CSR version 4.0 8635 Bluetooth Chipset technology. Connect your Sound One V8 to Desktop,MacBook ,ipad, tablet or mobile phones. Works within a range of 10-15 meters. 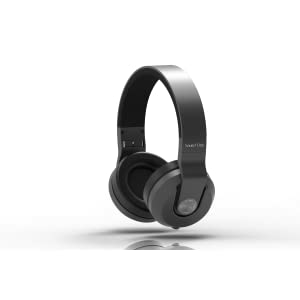 Snug fit increases noise isolation, fullness & Rich bass which is ideally suited for longer listening periods & travel. 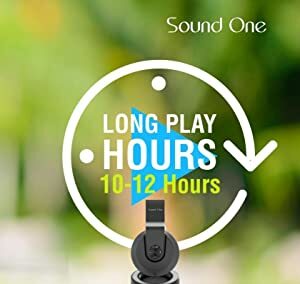 Balanced sound, without harsh bass & treble boosting prevalent with other brands produces a fully satisfying listening experience without the need for unhealthy volume levels. Convenient ear-cup controls & mic are compatible with Apple iOS & Android.With the control knob you can play, pause, shuffle and adjust the volume. You can also answer calls as there is an inbuilt microphone. 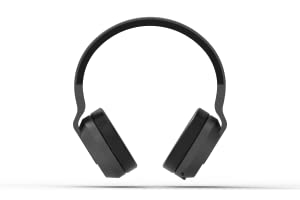 Sound One V8 collapsible headphones can be fold down to a compact travel size if you need to put it in your bag. Music gets more enjoyable when you can listen in comfort all day long.Premium,Light weight & Adjustable headband gives you more comfort. Advanced battery efficiency technology means you’ll enjoy up to 16 hours of play time on 60% Volume and Up to 8 hours on full volume on a lightning-fast 2-hour charge.